WHO: 'Level of concern is high' Jump to media player The World Health Organization has set up a Zika "emergency team" after the "explosive" spread of the virus. WHO warns over spread of Zika virus Jump to media player The World Health Organization warns that the Zika virus is likely to spread across most of South, Central and North America. Brazil struggles to tackle Zika virus Jump to media player A Brazilian doctor tells the BBC that the country is still very much "in the dark" over the Zika virus. Zika virus: 'The worst day of my life' Jump to media player The threat of the Zika virus has now become international, but the alarm was raised in Brazil last year when a growing number of cases of microcephaly began to emerge. The World Health Organization has set up a Zika "emergency team" after the "explosive" spread of the virus. 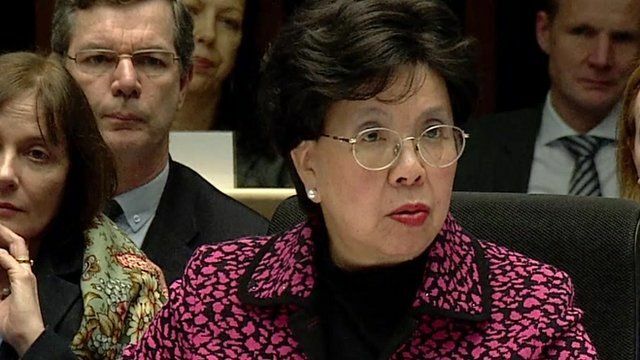 WHO director general Dr Margaret Chan said: "The level of concern is high, as is the level of uncertainty".